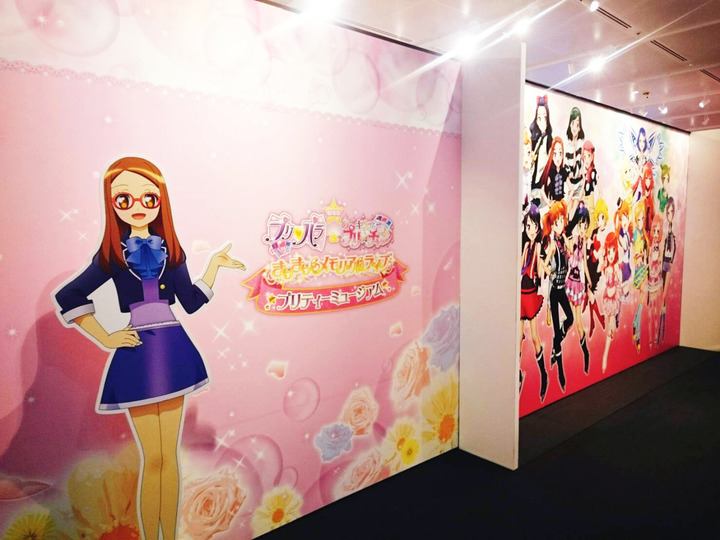 Like I said on Twitter, there’s a Pretty Museum event which started at Tokyo’s anime center on April 21, will last till May 13 2018. It’s a museum like event showing all kinds of things about the Pretty Series. Pretty Rhythm, PriPara, KING OF PRISM, and Kiratto Pri ☆chan. They show non credit OP&ED, making of, storyboards, designs etc. Most Yakuzas in Tokyo went there the 1st day and put pics on Twitter. Emu san posted lotsof pics. Early design PP pics too, which IIRC some of which were already in a PP book. I love PP but not as much as PR, and I’m not rich so I’m not buying the PP books. Note that the Pretty Series explanation in the event includes KING OF PRISM in it. I could swear before they would consider it in but implicitly, only saying Pretty Rhythm is part of it, and the KING OF PRISM is part of Pretty Rhythm. Nice they changed that. They definitely know what Pretty All Friends will be, (either a movie, a tv anime, a game, a drama CD like thing, a novel or even just goods) as that kind of thing is planned long in advance, but seems they still won’t tell us anything. The only thing we know about PAF so far is it’s a very good merchandising way to sell goods of all Pretty Series together. 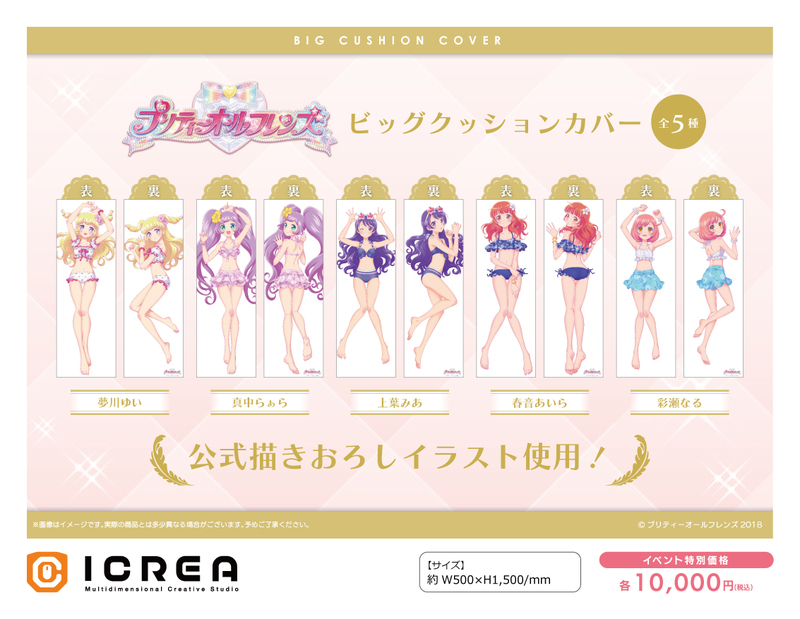 The cosmetics goods they released at thestart of April at Prism Stone shops are pretty popular. However Pretty Museum also has a Pretty All Friends corner, with a “new” visual. It’s the same as before except they added each girl’s mascot. The mascots have been redesigned. uruoisan was saying how they don’t like it how Rabichi is actually cute now, made me laugh a lot. The AD mascots were ugly on purpose after all. They also published story text for Pretty All Friends. Impressions: Being the first heroine, Aira is the leader it seems. It’s funny they wrote it in such a childish way (I tried to reflect this in my translation) because another thing we know about PAF so far is it’s aiming the adults and people who were fan of Pretty Rhythm and PriPara who grew up. That’s why they released the cosmetics goods. And if you compare with their anime designs, each heroines look a bit older in the PAF visual. In a sense PAF is what I always dreamed about, and what I thought the PR All Star Selection tv anime would be about when it was announced. Though I want it to include Kinpri and Prichan, basically everyone. And make Akaii Meganee the final boss who actually tricked them. As you should know, Rainbow Bridge is what you see Rinne on in RL and what they use to travel between worlds. Coo’s trailer in RLKinpri is the “Prism Stone trailer”, so I guess they travel in something similar. And they’ll drive it on the Rainbow Bridge. It’s like Magic Bus. I hope the “you’re gonna meet more friends” part means more characters will appear. At first it seems it’s going to be a “let’s recover the sparkle” type of story for the nth time, like they did in one of the movies or what they did with the PriPara Switch game’s OG story with Mirai. But then turns out it’s a story on how they all became something similar to the Rinne system. Except they’re not Rinnes. They also seem to be the real characters and not virtual copies like Saints was supposed to be. “Supposed to be”, as you should already know, this isn’t true anymore, Aira Mia Naru appeared in IPP so the Saints did not turn out to be virtual. Like PR director said, that was just his idea and the PP anime did something else than his metaplot in the Pretty Rhythm&PriPara movie . It’s really well thought too. At first I was wondering why the mascots were in the graveyard since only mascots who failed something end up there. 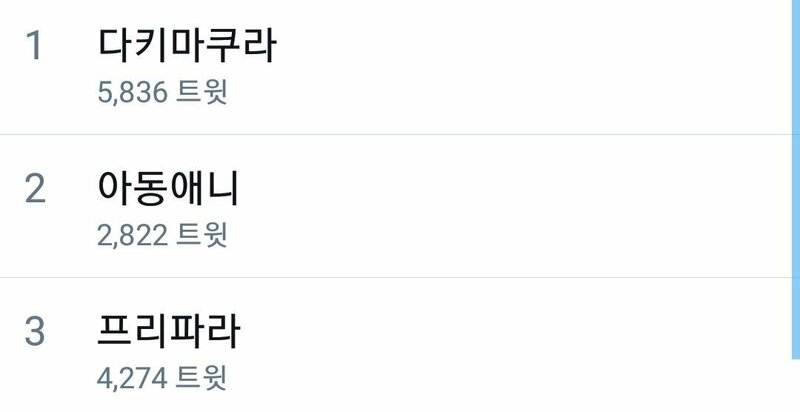 They got lost and ended there unwillingly. While it’s reusing many lore elements they talked about in Pretty Rhythm (Rainbow Bridge, Mascot’s Graveyard etc) PAF’s background may also turn out to be completely new and unrelated background to past series. Akaii Meganee mentions a world called “Pretty Prism Paradise” which isn’t “Prism World”. 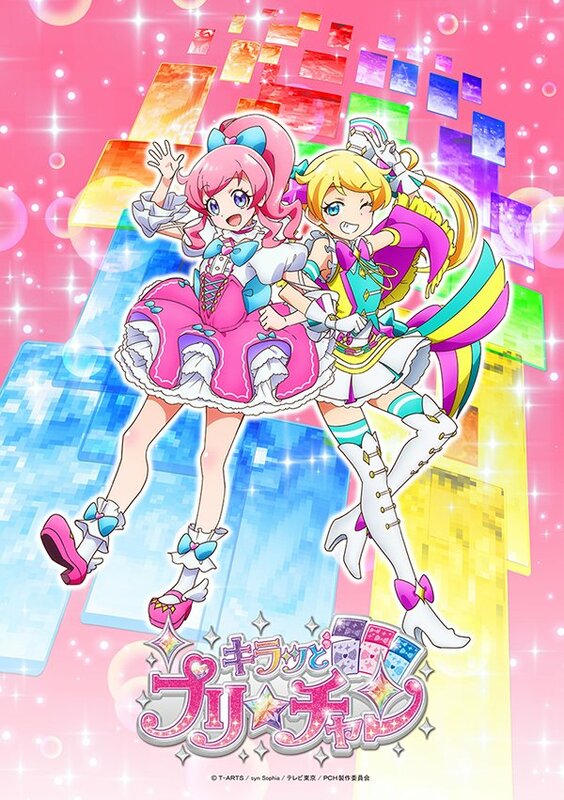 Until now despite being multiple parallel universes: ADMF, RLKinpri, PriPara, they were all connected by the same “Prism World”. Anyway it’s too early to tell for now. And they probably won’t elaborate on it much in the end anyway, so while I find it a bit interesting, it’s kinda useless speculating. It’s really fun though. Even if they just publish the story in text form in events like that. It can also be taken as a meta story with all the past heroines trying to get everything back and get their own new anime or movie or whatever greenlighted at the end. This entry was posted in Kiratto Pri☆Chan, Pretty All Friends, Pretty Rhythm, Pri Para and tagged King Of Prism, Kinpri, Kiratto Pri☆Chan, Pretty Rhythm, Pretty Series, Pripara on April 21, 2018 by rockmanshii. 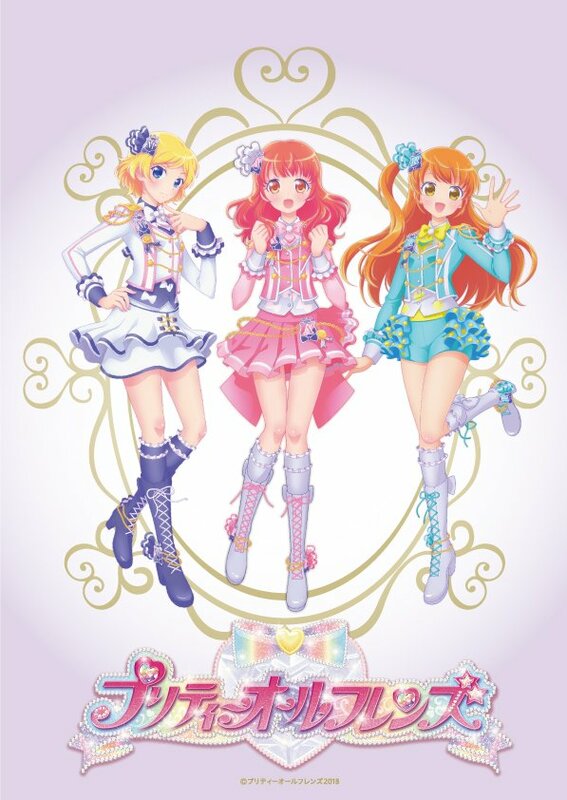 This entry was posted in Kiratto Pri☆Chan, Pretty Rhythm, Pri Para and tagged Prichan on March 21, 2018 by rockmanshii. Crunchyroll’s article is pretty complete, like always Japanese sites ilke Animate had more details which I added though. I also included some staff reactions and some of the thoughts of my Pretty Rhythm Yakuzas comrades so it took me a while to go through everything, plus I had other things to do IRL, hence why the post is a bit late. This entry was posted in Kiratto Pri☆Chan, Pretty Rhythm, Pri Para and tagged Idol Time PriPara, Kinpri, Kiratto Pri☆Chan, Pretty Rhythm, Pretty Series, Pripara on January 27, 2018 by rockmanshii.